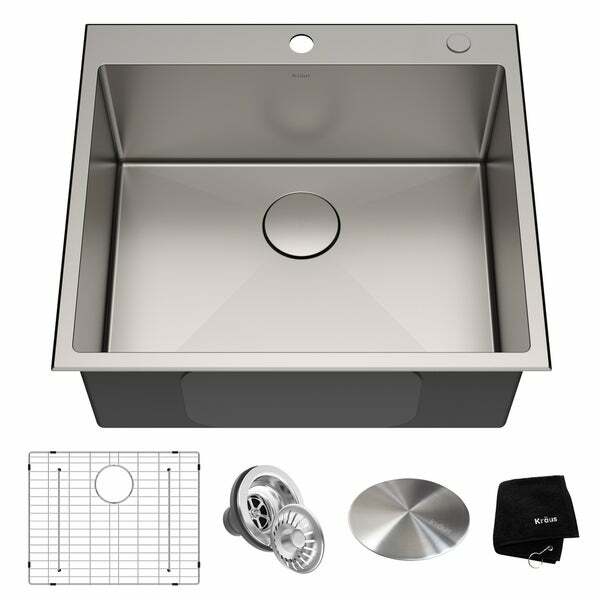 OUTER SINK DIMENSIONS: 25 in. L x 22 in. W x 10 in. D; Minimum Cabinet Size: 27 in. Dimensions 25.0 In. X 22.0 In. X 10.0 In. Beautiful sink however, if not set properly, water will sit in the bottom of the sink. Also, it shows water spots if not dried after each use. I liked all the extra pieces that come with it.